The most significant picturesque work Altdorfera is a large multi-leaf altar of the monastery of St. Florian near Linz, originally, like all the German altars, combining painting, sculpture, carvings, architectural elements. Currently, only 16 paintings that were part of it survived. In the open form, the altar included 8 compositions on the themes of Christ’s Passion and 2 scenes – the Position of the Coffin and the Resurrection, placed on the limit. 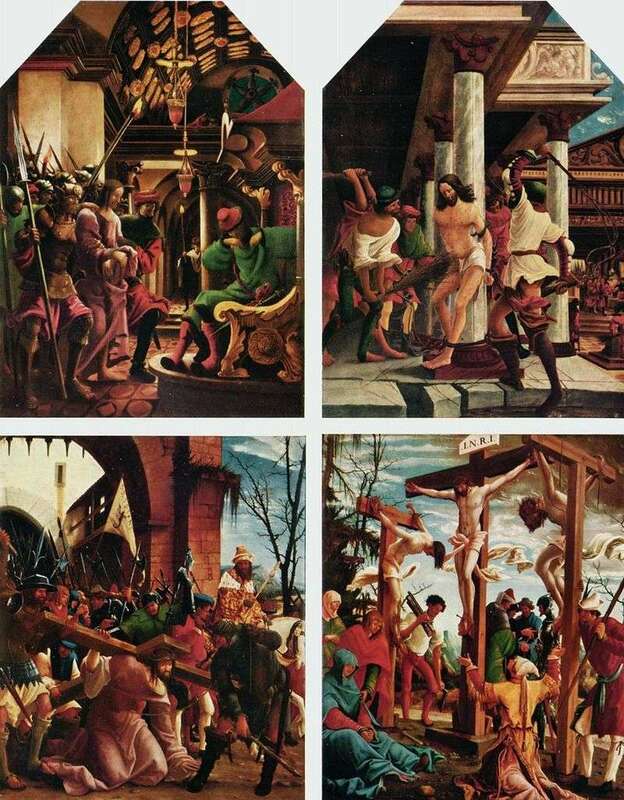 In this cycle, all the richness of Altdorfer’s talent was revealed: the dramatic, acute emotional vision of the world, the ability to build complex multi-figure scenes full of intense, harsh expression, excellent perspective, brilliant talent of the colorist. Ultramarine, cinnabar, carmine, emerald green, golden-yellow tones are endowed with luminous force, the colors are superimposed, then it is so light that it shines through the underpaintings, sometimes as if melt, sometimes painted with quick open strokes. Description and meaning of the painting Altar of the monastery of St. Florian near Linz by Albrecht Altdorfer.